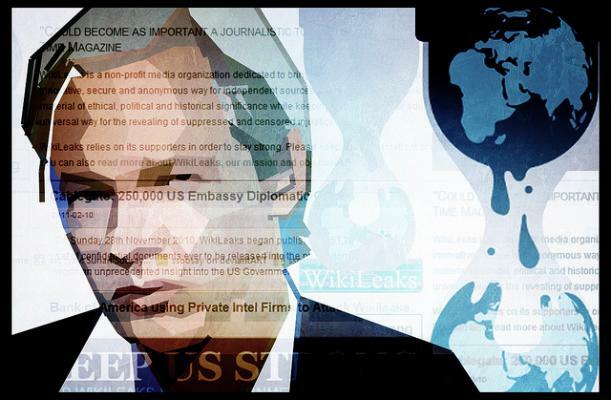 When WikiLeaks made its first big media appearance by publishing tens of thousands of top-secret diplomatic cables in 2010, we argued the group headed by controversial front man Julian Assange was a media entity, albeit an unusual one. The broader implications of this status extend far beyond the question of whether we support the organization or its motives: As a blog post at the Electronic Frontier Foundation points out, threats aimed at WikiLeaks are by implication also threats to any other media outlet that dares to publish government information. And some members of Congress say they want to make this connection explicit by changing laws so that journalists can also be sanctioned. Put them in front of the grand jury. You either answer the question or you’re going to be held in contempt and go to jail, which is what I thought all reporters aspire to do anyway. If someone acting with impunity and knowledge of the consequences goes ahead and publishes it, that is something that I think would be worthy of prosecution and punishment. And this is more than just some idle speculation by hawkish members of the judiciary subcommittee: As Timm points out in his EFF post, a senior Justice Department official told the Washingtonian recently that journalists who speak to government sources about top-secret information should be careful, because doing so could “put them at risk of prosecution.” In the wake of the diplomatic-cable incident, Sen. Joe Lieberman (I-Conn.) also proposed something called the SHIELD law, which would make it a crime for anyone to publish classified information that might be “contrary to the national interest,” legislation he continues to promote. When WikiLeaks was initially targeted by the Justice Department for investigation under the Espionage Act, there was very little criticism of the move, either from traditional media outlets like the New York Times (which has had a somewhat fractious relationship with WikiLeaks in the past) or from free-press advocates. It was as though no one wanted to admit that the same forces that were going after WikiLeaks for revealing government data could just as easily be directed at mainstream journalists. Now those particular chickens appear to be coming home to roost. Obviously, there are differences between what the New York Times does and what WikiLeaks does, as I discussed in an earlier post on this topic: The NYT is a major media operation, with thousands of trained journalists around the globe and an established track record of factual reporting, and WikiLeaks is a relatively new and poorly understood agency run by a controversial figure and backed by donations (donations that were shut down when payment-processing firms such as Visa, MasterCard and PayPal refused to deal with WikiLeaks). 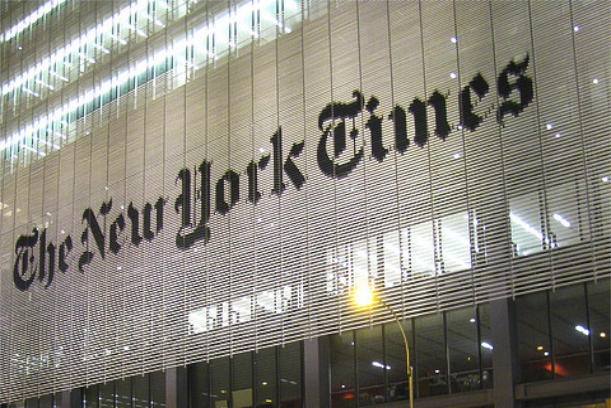 As Timm notes, the kind of legislative attack that Congress and the Justice Department seem to be intent on pursuing is a threat to media entities of all kinds — both traditional forms like the New York Times as well as newer iterations like WikiLeaks. That doesn’t mean mainstream media outlets have to allow Assange to become a member of the National Press Club, but it does mean they should be a lot more concerned about what the investigation of WikiLeaks portends for freedom of speech and a free press. He had no idea what I was talking about. He didn’t recognize the name “Julian Assange” and he was only very vaguely familiar with the word “WikiLeaks” and he didn’t know what wikileaks is or what it does. As soon as I tried to explain he just shrugged his shoulders and made a face like he couldn’t care less and didn’t want to hear about it and he backed himself another cone. As long as there are more people like him than like us, we’re ALL doomed. And there are. In Australia, government and judiciary have often colluded to prevent peoples rights. Wrote the book, written the blogs, made the YouTube. Australian intelligence agencies cover up much of their destruction of peoples lives. How do Australians react to this? Simply outrageous. The government going after just about every constitutional right there is. And yet half of its citizens could, seemingly, care less. As the Financial Ponzi scheme starts to unravel, and we become more socialist then fascist, we see the police state growing. Jail is the upfront way for Feds to put pressure on you. Cutting off your relationships with banks and credit card networks is much quieter, and catastrophic penalty as we head toward the exalted cashless society. Think about it a little….